It could just be me, but I often consider myself one of those people who has done and tried many things – yet, not done and tried many other common things. I only first tasted a pumpkin dessert a few years ago. (Life changing). I’ve never snowboarded. I’ve never played a full round of Guitar Hero. (Not losing sleep about it). I absolutely love exercising – whether its team sports or individual ones, but I’ve never been to an organized fitness class. Specifically, I had never tried Yoga, despite the fact that many of my friends – from burly football players to dainty ladies – swear by it. I prefer working out alone, but I also love being pushed. So, when my recent move meant leaving my high-rise building and, consequently, its free gym behind – I saw the golden opportunity to try something different, AKA get my behind to class and enter womanhood. Aside from my grumbling at the fancy studio’s high prices, I’ll admit that the whole experience just didn’t start well. I was too early. I squatted awkwardly in the waiting area, next to an imitation babbling brook. My unwieldy mat knocked over a giant tower of exercise balls in front of my new classmates, who therefore then didn’t become my new friends. I couldn’t find the studio in the labyrinth of a building. When I did find it, I legitimately wasn’t sure what was considered acceptable mat placement in the giant, airy room. When I sat down quietly and started stretching (the ways I’ve known my entire life), everyone else was limberly swaying, gracefully elongating, eyes closed, in a deep state of breath-heavy Zen. So, as my shifty eyes watched the lululemon-clad crowd around me, I fake breathed my way through a few of my toe-touches in an attempt to fit in. Right away, it wasn’t a walk in the park – and I felt smug and stupid for thinking it would be. I do love anything that promotes mindfulness, so, the fact that this exercise combined mind and body awareness was immediately my cup of tea. However – as to be expected – I wasn’t instantly expert at it. I mean, I was wearing a Zeppelin tank top. I wobbled on one leg. I blew air towards my brow to remove the imposter strand of hair that had slipped into my eye during downward dog. I forced my pelvis into positions that I maintain it shouldn’t be forced into. As a competitive athlete, my lack of immediate poise and comprehension of the language irked me. Silly, but true. When I was a kid, I remember hammering the tennis ball far over the fence, tossing my racket aside out of frustration and walking away for a breather. This is what I wanted to do after the first two poses, except with my own body or my yoga teacher’s. However, with some patience, those useful deep breaths and the helpful reminder that if you think about anything other than what you are doing you will fall over, I started to accept my inexperience and have fun with it. And, I began to notice how quickly a class flies by when concentrating so intently. Finally, I realized how fantastic it must feel when someone masters this practice. A few nights later, I had every intention of attending my next yoga class, when I saw that Pilates was on the schedule. I opted for Pilates – a faster-paced series of core exercises – and found that I was right at home. All in all, knowing myself, I predict I’ll go back to Yoga so that I can competitively be satisfied once I see improvement in my practice. I liken it to trying to add distance to a long run, even if your last was painful. There’s no time like the present to try something new, step outside of your element and give yourself the chance to like it. Even if it costs you, and even if you wobble, you might learn something about yourself. I certainly did. It can definitely be intimidating your first time! Out of curiosity what type of yoga class did you attend? I just tried Hatha Flow! It was great for beginner to intermediate – challenging, but not impossible if you had never done it before! Great post, Jess. I like that there’s some humour in this! I’ve been going to yoga for a while and still can’t keep up with some of the people there. But, as I continue to go, I see my strength build and my distraction disappear. I never thought I could do hot yoga, and now I’m always getting others to try. Thanks kindly, Kristen! I’m definitely hooked on both Yoga and Pilates now. I think the fear of having never tried it kept me from thinking I would like it – but I’m a big fan of the different pace and breathing. 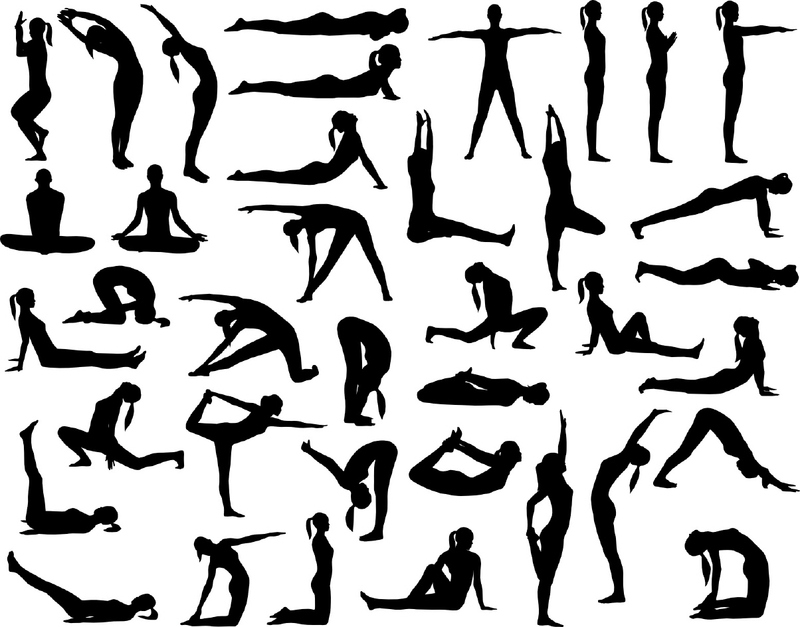 Next post – hot yoga attempt! Ha so true:) Love the shifty eyes:) I know so many who thrive in yoga, including three teachers. But… I. Just. Can’t. I did go the winter of my year off but never went back to it. I would say overall I learned a lot, though.